Thank you. I’ve known this data to be true, boycott Monsanto. Monsanto causing the poisoning of the ocean may be true. But please don’t claim that climate change has nothing to do with it. You only mentioned carbon emissions from cars. What about deforestation? This world is being destroyed by multiple causes; all caused by Corporate greed. Monsanto have so much to be accountable for. Thanks for this article. Have shared. 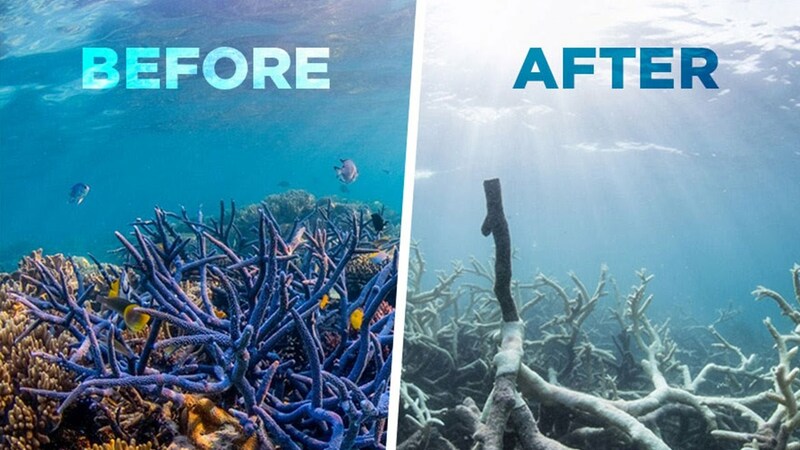 I theorized that the death of the coral reefs was due to the Fukushima disaster spilling tons of nuclear water into the Pacific but the Glyphosate theory makes good sense. It could be that the two, combined, are working their evil on the reefs? What is the womb but dark salty water, and what is the tiny baby in the womb, but even more vulnerable than ocean species. Glyphosate also chelates (grabs) minerals from the developing infant. It is time to ban glyphosate. When I read this, it’s like a lightbulb went off. Glyphosate is killing everything. We have it in all our bodies. They spray it intensively before they harvest wheat. Then the runoff ends off in the ocean. What did they think was going to happen? ?